This is actually more greener in real life, no idea why it looks like a darker blue but there we go. 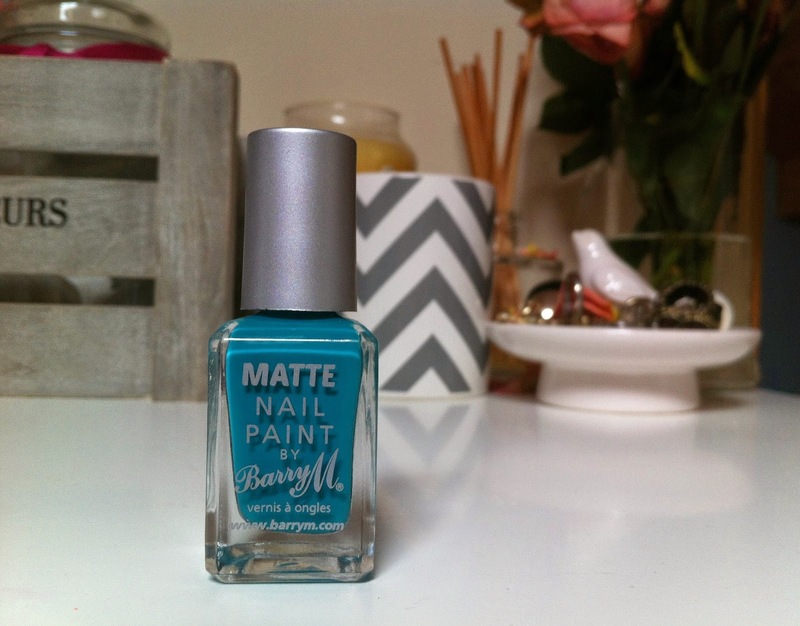 I love Barry M nail polishes as they have a huge range of shades and there very affordable. I do think that the matte ones chip easier than the normal nail polishes though. 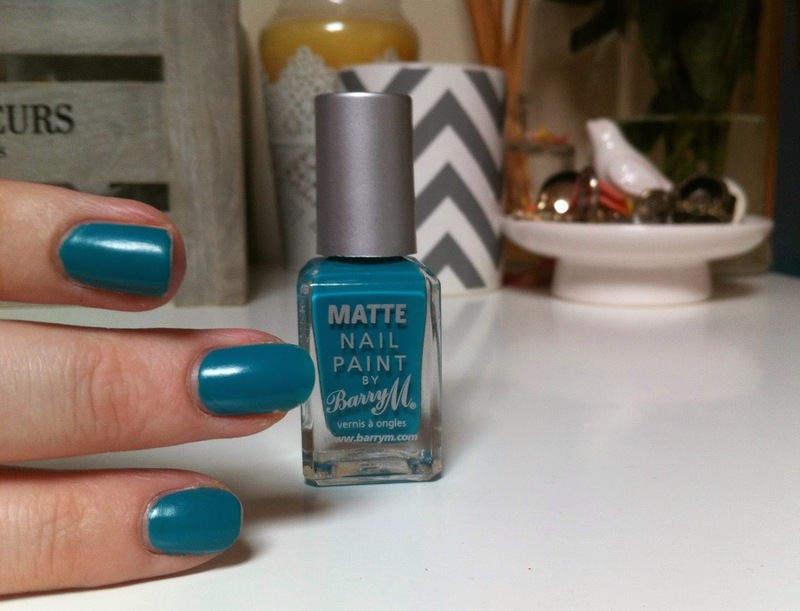 Its a gorgeous turquoise shade perfect for summer and gives your nails a real statement look also makes me wish I was sitting in cancun drinking cocktails out of empty coconuts, if only. Barry M have an offer at the moment also if you spend £6 you get a free limited edition polish. 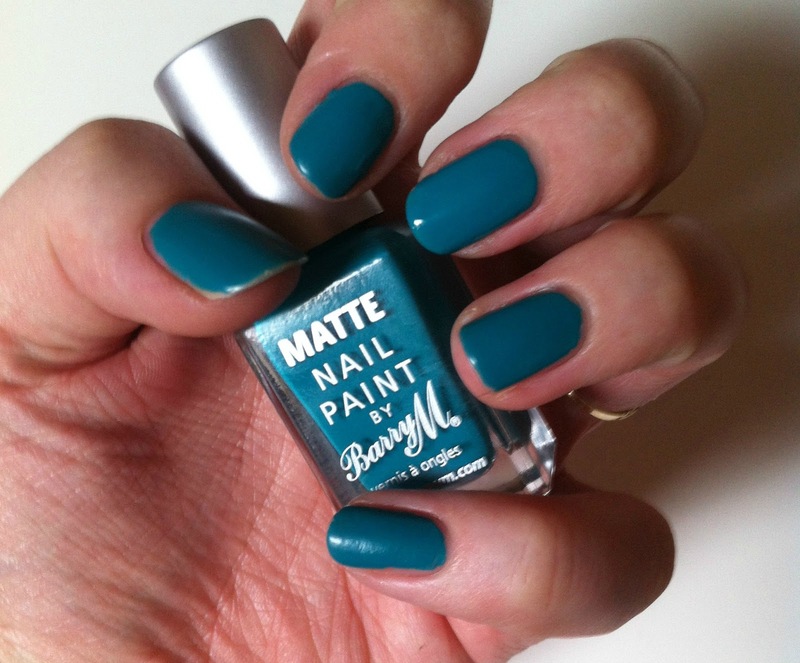 Have you tried any of the Barry M matte summer range yet? 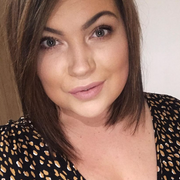 I have this and love it, it's such a summery shade - though as you say, it does make you want a holiday and a cocktail or two!